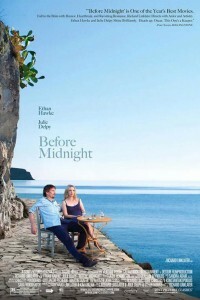 Before Midnight is the companion piece to the classic films Before Sunrise (1995) and Before Sunset (2004). In Richard Linklater’s third movie featuring the now infamous Jesse and Celine, we meet the couple nine years after they last met, this time in Greece. Almost two decades have passed since their first meeting on that train bound for Vienna. Quite possible the best romantic trilogy ever made for the big screen. Before Sunrise, Before Sunset, Before Midnight. Before Sunrise (A young man and woman meet on a train in Europe, and wind up spending one romantic evening together in Vienna. Unfortunately, both know that this will probably be their only night together). Before Sunset (It’s nine years after Jesse and Celine first met; now, they encounter one another on the French leg of Jesse’s book tour). We can only hope that the series continues on until the couple are in their eighties.